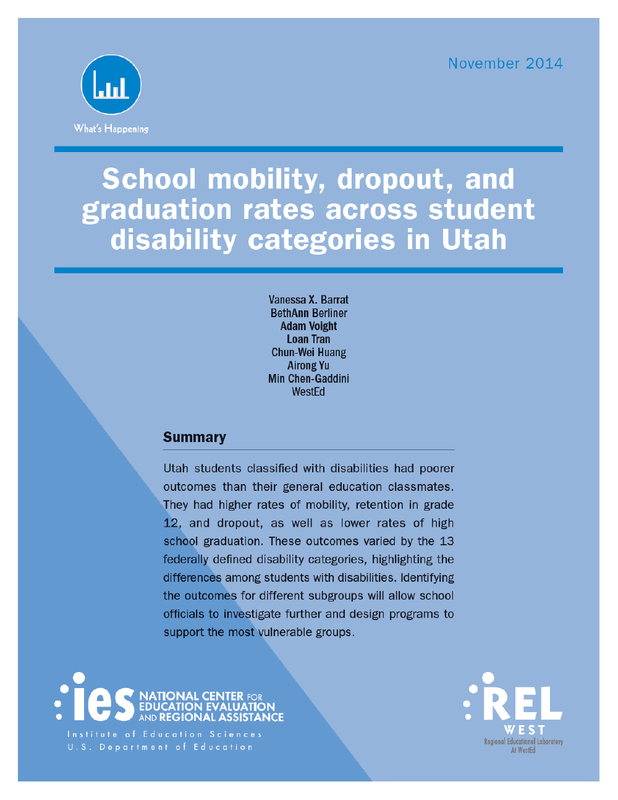 To help inform education stakeholders in Utah, this REL West study examined the differences in characteristics between rural and non-rural districts in the state from fiscal year 2012 through fiscal year 2017 using administrative data from the Utah State Board of Education and the Utah Education Association. The study found that rural and non-rural school districts differed on a number of dimensions. 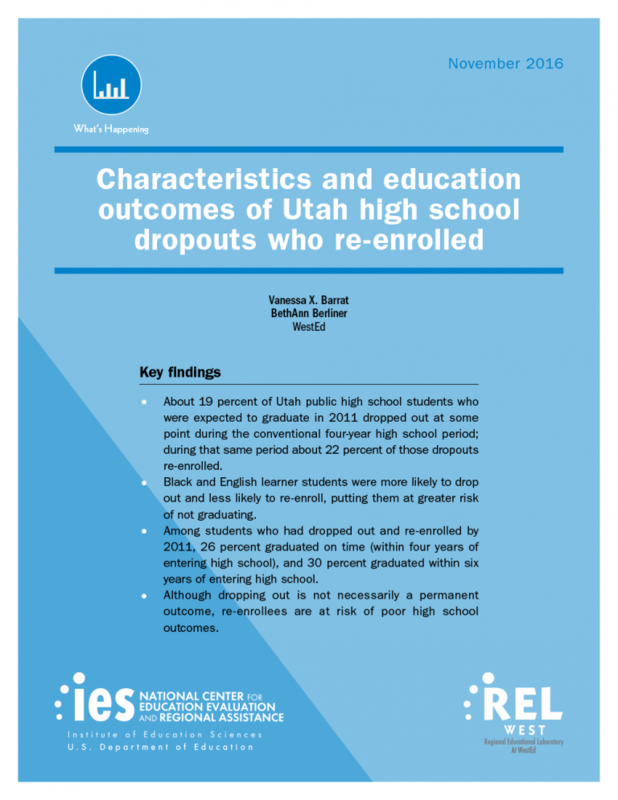 This REL West study challenges the perception that when high school students drop out, they leave school for good. 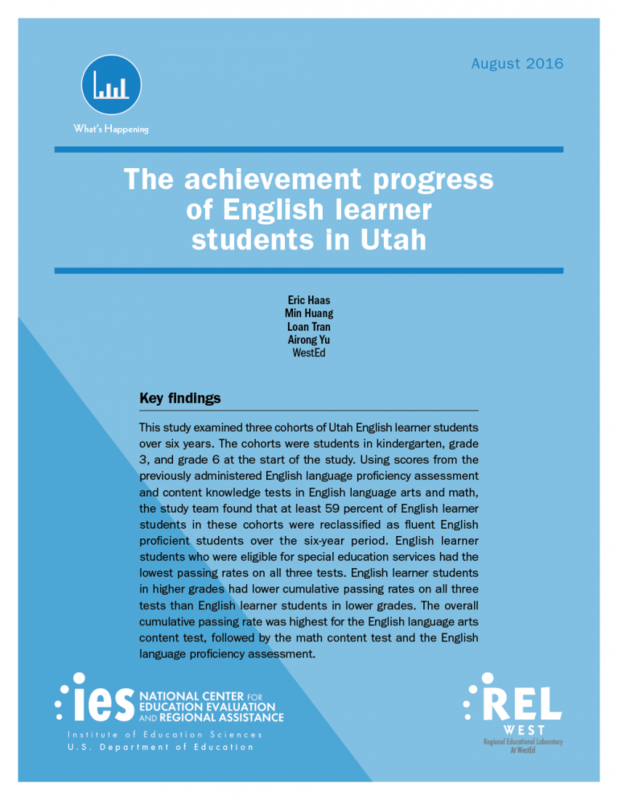 Read a study of English learner student progress in Utah over six school years.